Is this the end? If not; how are we to discover and assure for stricken Humanity the vision and the possession of a Better Land? In this volume plumbing the depths of human experience, Alexander Philip explores the nature of reality at its most basic level. Examining the ways that time, abstract thought, and physical sensation affect consciousness, this book posits that matter and energy are the foundations of all existence. 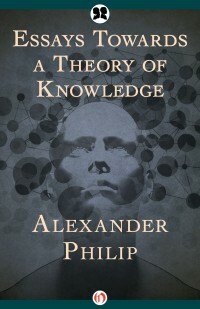 Alexander Phillip is the author of Essays Toward a Theory of Knowledge.